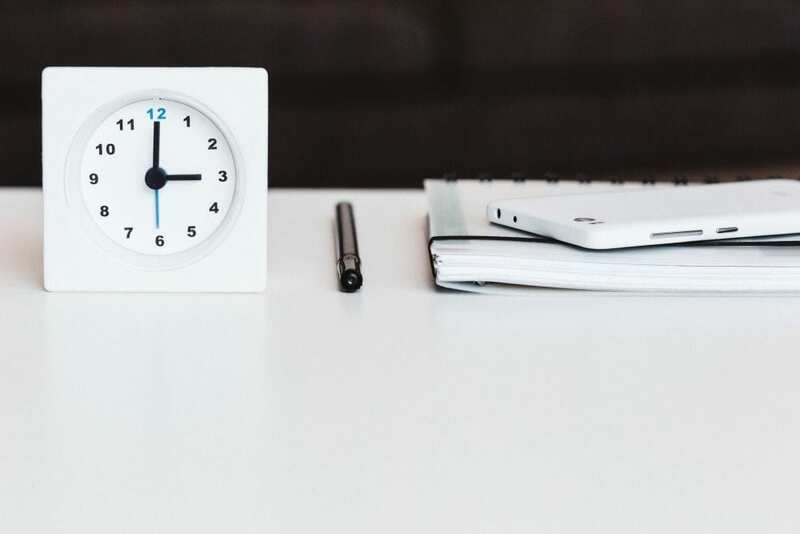 Monitoring the hours worked per employee can be a difficult task. Especially if you don’t have an easy set up to do so. 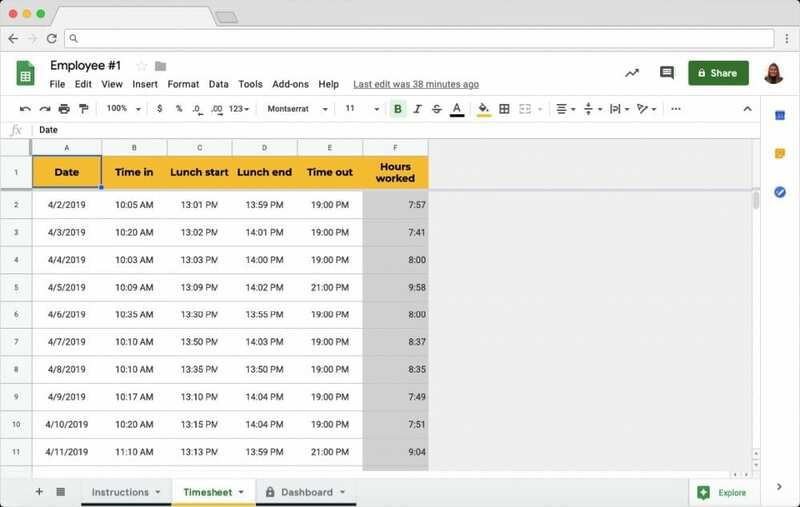 Use this Google Sheets based template to easily track your team’s hours worked in an automated manner. The master spreadsheet consolidates all the information automatically, for you to monitor in a visual dashboard. 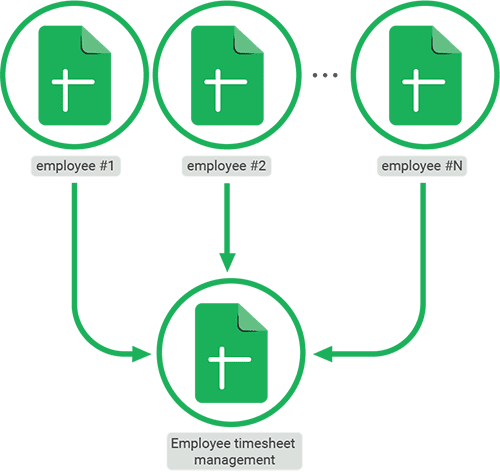 The template centralizes all timesheets from your different employees by consolidating the individual spreadsheets into one master spreadsheet. In this master sheet, you can easily track and monitor each employees’ hours worked, in a visual dashboard. Install the Employee timesheet management template by clicking the button above. You will be asked to log in using your Google account since the template works inside Google Sheets. At the same time, your Sheetgo account will be created. After logging in, you will enter the Sheetgo Web Application where you can find the template. Click on ‘Use template’ to install it inside your Drive. Click on the spreadsheet icon to open the master spreadsheet “Employee timesheet management”. By clicking the folder icon, you will open the Google Drive folder “Employee timesheet” where the different employee spreadsheets are stored. Find the employee timesheets inside the “Employee timesheet” folder. Send these to each individual employee and have them name it after themselves (for example “Diana timesheet”). Each employee can then fill out their hours worked in a day. There are columns provided there to enter their start and end hour, and also the hours of lunch break. The template automatically calculates the total hours worked (grey area). 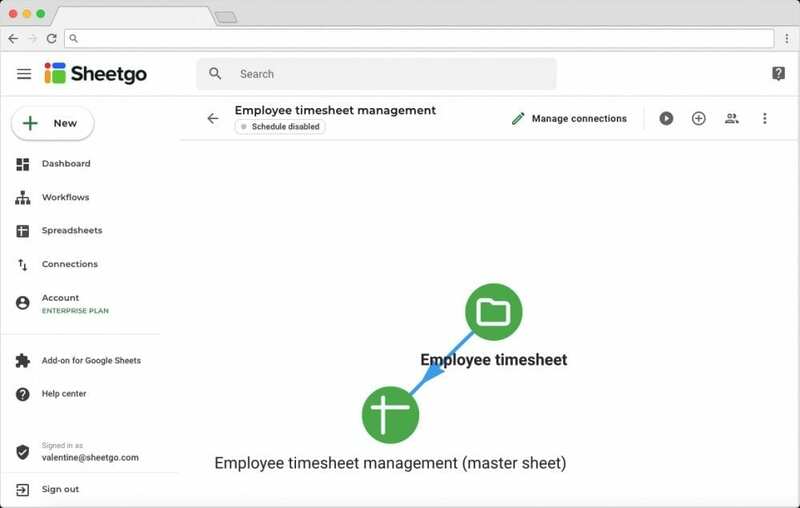 Go back to the Sheetgo Web Application and click on the play button ‘Run workflow’ to update the consolidate connection between the different employee timesheets and your master file. 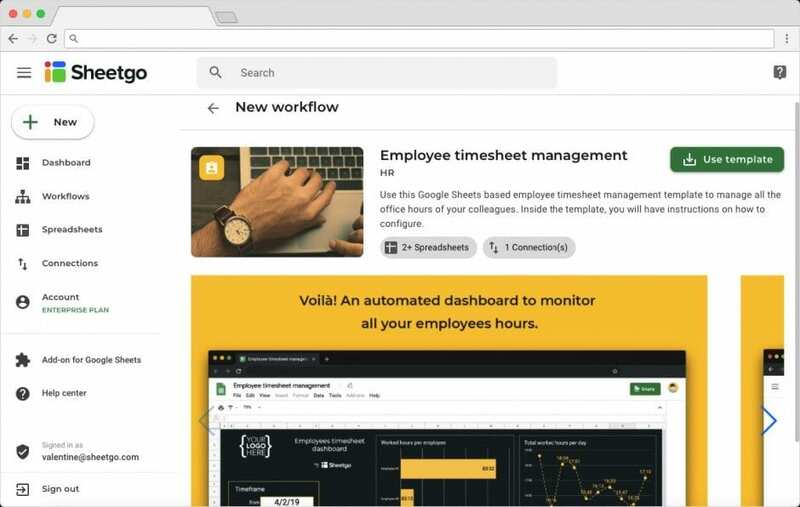 The data will automatically flow into the “Employee timesheet” master spreadsheet and there you can monitor the Worked hours per employee, Average lunchtime per employee, and Average arrive time per day. 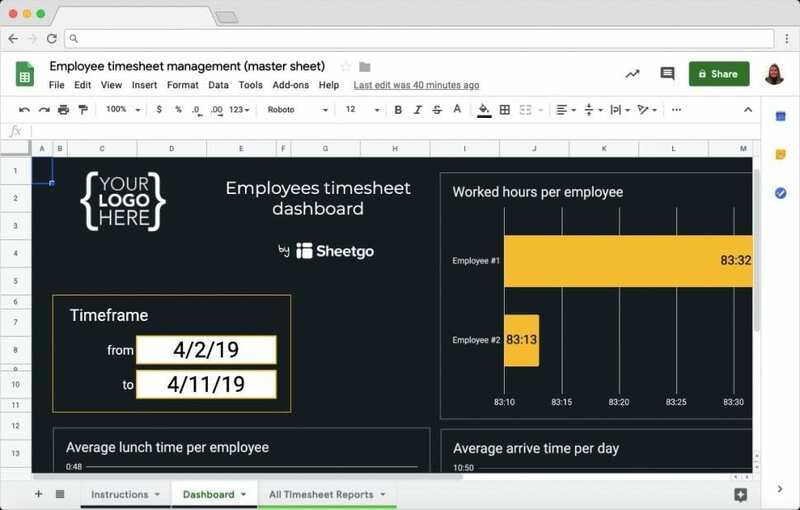 You’ve successfully set up your Employee timesheet management template in Google Sheets. Feel free to customize the template according to your company needs and enjoy the easy tracking of your team’s hours worked.